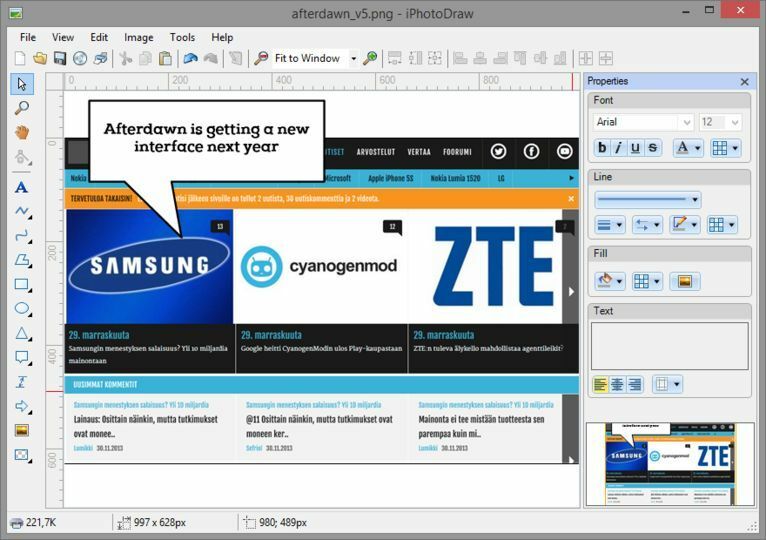 iPhotoDraw is a freeware graphic tool to add description text, callout boxes (ballons), dimensions, detailed images, and other annotation objects to the pictures. A picture is worth a thousand of words. But sometimes you still want to add words or other information to the picture. 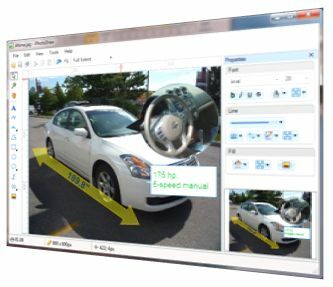 For instance to add a name tag to people in the photo or to display objects with dimension information in the images or enlarged details for a particular part in the image. It doesn't mess up the original pictures with the annotation. Instead, the annotation is stored in a separated file and the original picture file is intact.